Encore Recyclers offers our customers a large, state-of-the-art, fully paved facility with two entrances for easy entry and exit. Our scrap metal recycling center is equipped with an extensive and modern infrastructure to cater to the requirements of all types of customers including two 70-foot electronic truck scales for the easy weighing of larger industrial scrap metal loads. We also are equipped with 12 additional electronic state-certified platform scales, located indoors, for weighing smaller non-ferrous metals such as copper, brass, aluminum cans, aluminum alloys, car batteries, car radiators and other various scrap metals and electronic scrap. 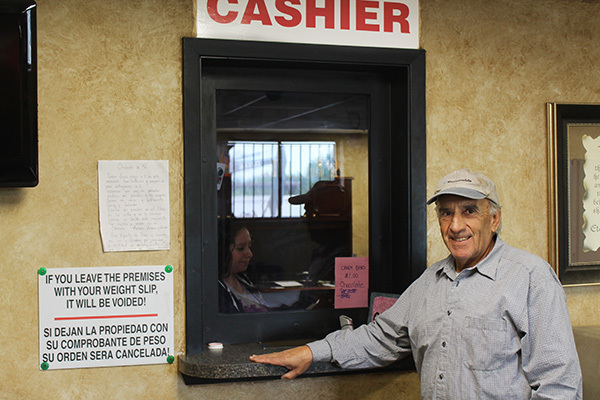 We know your time is important to you so we now offer 5 cashier pay windows with the friendliest cashiers around to serve you so that you can get your cash quickly. We believe in providing the best price for each commodity that customers bring to our scrap yard, including all ferrous and non-ferrous metals like aluminum, steel, iron, brass, and copper. Besides paying an excellent price for your scrap, Encore Recyclers also provides easy scheduling and top-notch container services. We take pride in not only providing the best price, but also making it easy for all of our customers to sell their scrap at their convenience. Encore Recyclers can provide specialized containers in a wide selection of types and sizes, designed to maximize your recycling efficiency and value. In addition to these standard sizes, other options are available to meet your specific recycling needs. Encore Recyclers uses in-plant hoppers, Gaylord boxes, rolloffs and semi-trailers to collect and remove your scrap material efficiently, professionally, and with full attention to environmental consequences. Customers who bring their scrap material to our modern and tidy collection center and processing yard can expect the same professional service provided to our industrial accounts. Our experienced and courteous receiving staff strive to make your recycling visit pleasant and efficient. 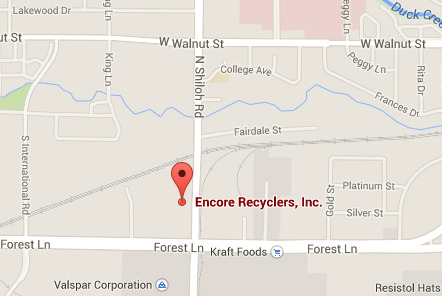 Doing business with Encore Recyclers means you are dealing with the best. We continually reinvest in our people and our facilities to provide unparalleled service to all of our customers. All pickups and payments are prompt and exact. Our inbound scale personnel, account managers, and accounting staff work as a team so that your material is properly weighed, graded, and reported for prompt payment. 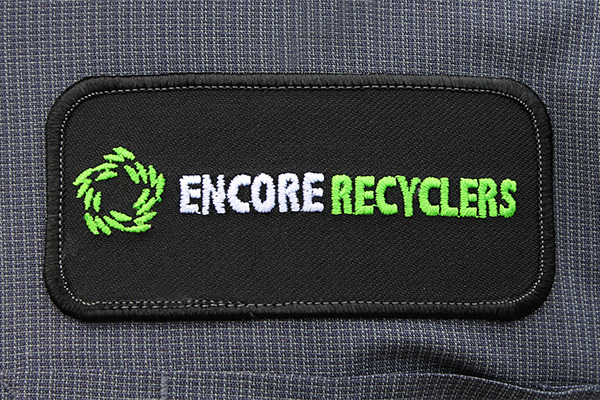 Encore Recyclers provides some of the best payment terms in the industry…WE GUARANTEE IT! Our friendly professional team is ready to help you with all of your disposal needs. Give us a call at 972-272-5845 and we can send a customer service representative to your facility so that we can customize a solution to fit your specific recycling needs. We would sincerely like to partner with you and your company to build a long lasting business relationship. In our pursuit of excellence, we focus on meeting every customers expectations and delivering unbeatable customer services with consistency, integrity, and safety. We genuinely believe that we are employed by our customers, and our creed promotes what every customer wants…the most money for their metal! We provide certified scale weights to let our customers know that they are getting paid for every recyclable pound they bring to our facility or we pick up from our commercial accounts. We always invite any of our customers to visit our facilities to audit our operational procedures at any time. Whether you're selling metal on an industrial, commercial, or individual scale, our friendly and knowledgeable buyers are ready to help. Contact us and get an estimate right away. What Does Encore Recyclers Buy? Encore Recyclers Does Not Accept Any Dangerous Materials! 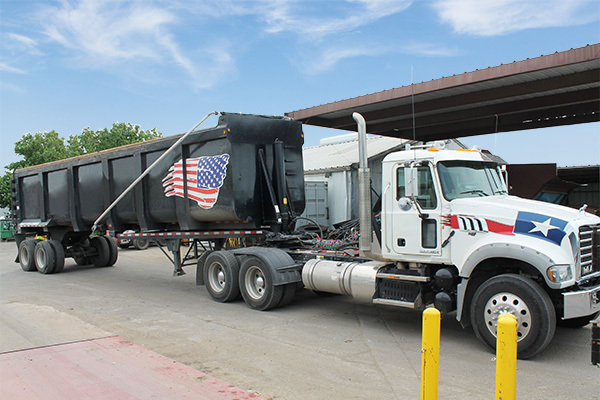 We also expect incoming loads to be free of dirt and other non-metallic debris. Weight adjustments will be made for excessively dirty loads. 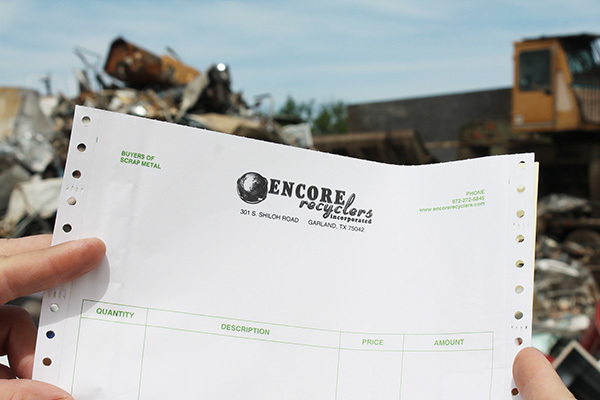 Encore Recyclers wants to be the first choice to sell your scrap material and that's why we insist on dealing with our customers with honesty and integrity. We believe that running a business carries with it a great responsibility to operate on principles that are above reproach. Our commitment to our Christian values is the secret to our success and it's also how we've managed our business for more than 45 years. We believe this approach is in the best interest of all of our customers and our relationship with Jesus Christ. We know that you will be pleased with our service and our friendly staff. We want you to know that Jesus loves you and God bless you!